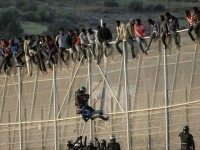 (AFP) — A migrant died Sunday and 19 others were hurt after around 200 people scaled a fence to enter Spain’s Melilla enclave from northern Morocco, local Spanish authorities said. 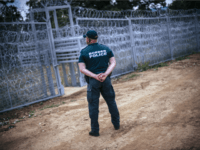 Hundreds of African migrants have attempted to storm border fences separating European Union territory from Africa in the Spanish exclave of Ceuta, resulting in several injuries. MADRID (AP) — The Red Cross says that 19 migrants have arrived to Spain’s southeastern coast in two small boats. 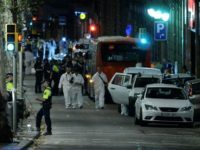 MADRID (AFP) – A knife-wielding man shouting “Allahu Akbar” charged across the border between Morocco and the Spanish territory of Melilla on Tuesday, attacking and injuring a police officer, authorities said. 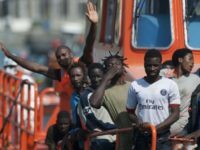 Hundreds of African migrants have stormed the Spanish-Moroccan border, injuring guards and pouring into the streets of Melilla. 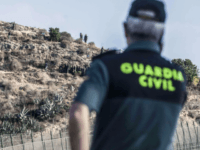 Border violations at Ceuta and Melilla, autonomous port cities on the North African coast which have been Spanish for hundreds of years, have tripled over the past month following Moroccan threats to terminate security co-operation. 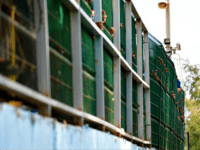 About 70 sub-Saharan African migrants forced their way over a barbed wire barrier into Spain’s North African enclave of Melilla on Thursday. President Obama, Secretary Clinton, and Jeb Bush (remember him?) have declared with one voice: America doesn’t need border walls. Meanwhile, around the rest of the Western world, walls are springing up in order to defend the sovereignty of nation states.